From the carpentry to the Quaker finishing touches, no detail has been overlooked. 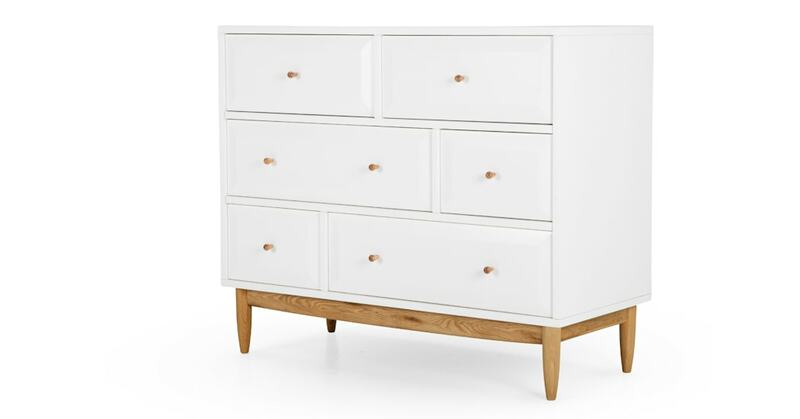 Crafted with smoothly bevelled drawers of different sizes providing plenty of storage. The Willow collection commands attention without demanding it. Subtle. Sophisticated. This MADE Studio design is the foundation of a refined home setting. Spot the vintage design details, like the rounded tear-drop handles, the oak skirt and the tapered solid oak legs. All elegantly contrasted by the clean, white finish.